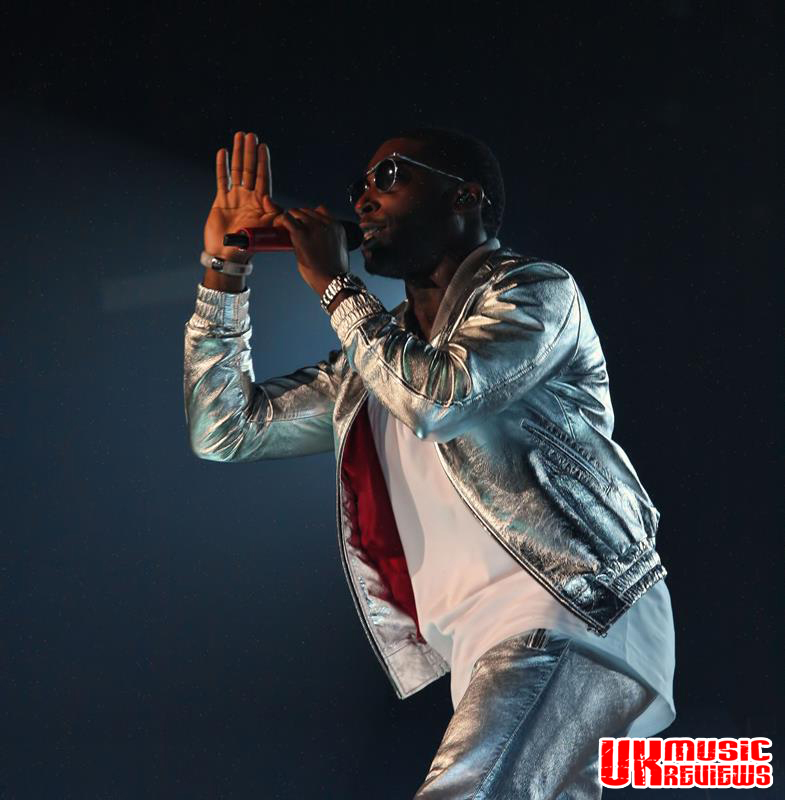 Tinie Tempah performing his Demonstration Tour at The Capital FM Arena Nottingham on Wednesday 2nd April 2014. 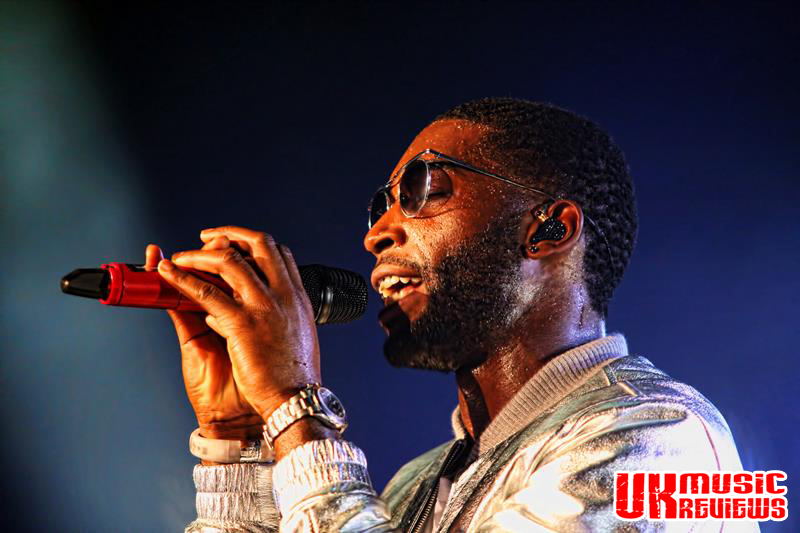 Having postponed his Demonstration Tour last December, because he wanted to finish his latest album of the same name before touring; this crowd were as loud as Tinie Tempah’s silver suit as the singer took to the stage and rocked Nottingham like an earthquake. 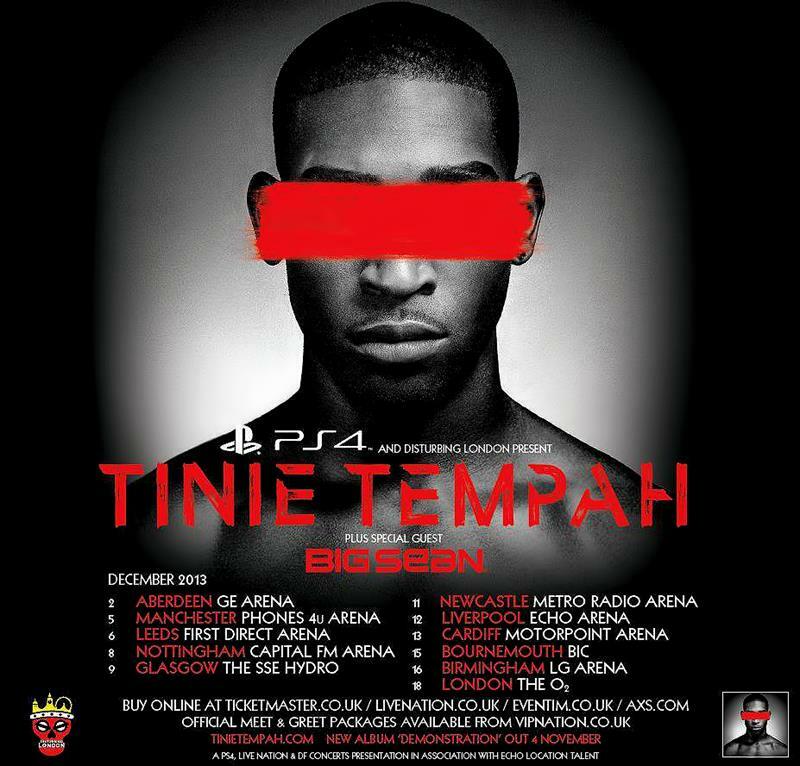 Whilst it is nearly two and a half years since we last saw him play to a sell-out crowd at the Arena, we did at the time believe that if he returned he would be so massive that he would have to play several dates at this venue to accommodate his fans. Such was his trajectory at the time. 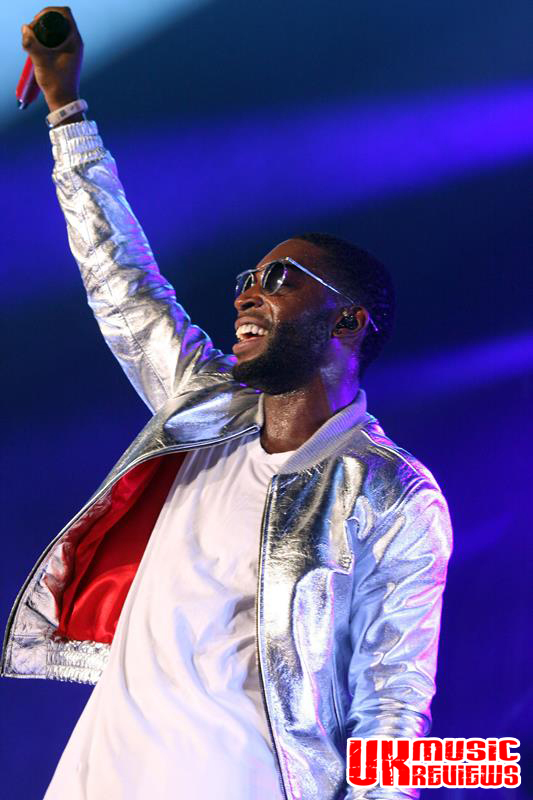 However, for this rearranged gig the audience was slightly smaller and the empty seats noticeable, but this did not detract in any way from the way this loud, boisterous and youthful crowd welcomed Tinie back. Opening with Lover Not A Fighter, from last year’s Demonstration album, he immediately thrilled the crowd, sending them into a frenzy as they got their first glimpse of him standing majestically above the concrete overpass set design. 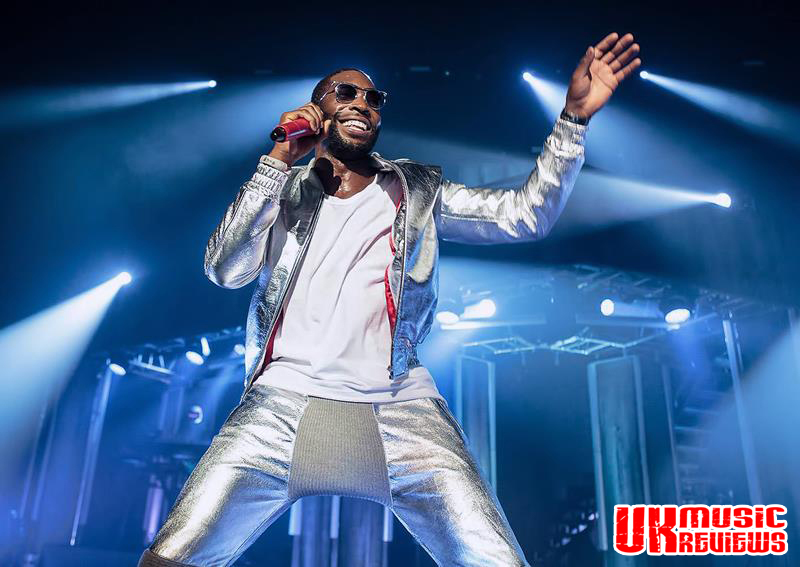 Backed by a superbly tight group of musicians, and his long time foil, DJ Charlesy, he proceeded to put on a show that would put many other artists to shame. From the reaction of the crowd, it was clear that it had been well worth the wait. Moving straight into a couple of earlier hits like Frisky, it was during his performance of Wonderman that he told this lively audience to “dream big and aim high”, thus stressing that there is some symbolic importance to his music. He missed no opportunity to tell us that we were the best audience of the tour so far or to squeeze the word ‘Nottingham’ into any song where possible. Having warmed up the audience to boiling point, he moved onto a clutch of songs from his latest album; amongst which was the first single, Trampoline, the anthemic Children Of The Sun, and the almost touching It’s Ok. Whilst the pace had certainly quickened, the audience went wild as the intro music to Written In The Stars was played. The screams were deafening and out came the smartphones. 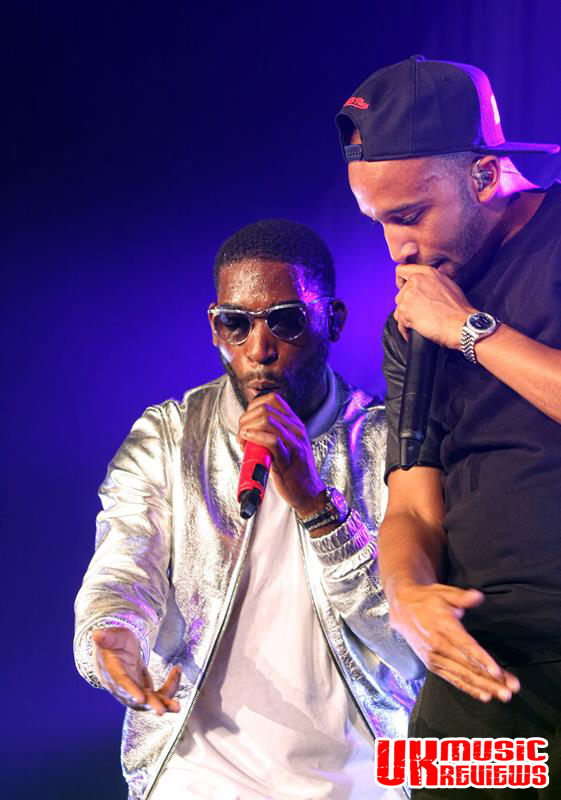 The high energy that Tinie emits continued, with the songs, Earthquake and RIP. There then seemed to be a partial lull, perhaps induced by Tinie’s over serious explanations of a deeper, more honest side to his songs. Born Patrick Chukwuemeka Okogwu, the lyrics to Looking Down A Barrel include “weighing in at seven pounds one ounce this little miracle/Got given a name with too many syllables/That made my registration in class a tad difficult”, thus showing that his lyrics can be meaningful and come straight from the heart. However, things did get back on track, when he cleverly won the adulation of the crowd by changing his hit Miami2Ibiza to Nottingham2Ibiza, and his recent number one, Tsunami, which prompted synchronised arm waving and a word perfect sing-a-long from the crowd. 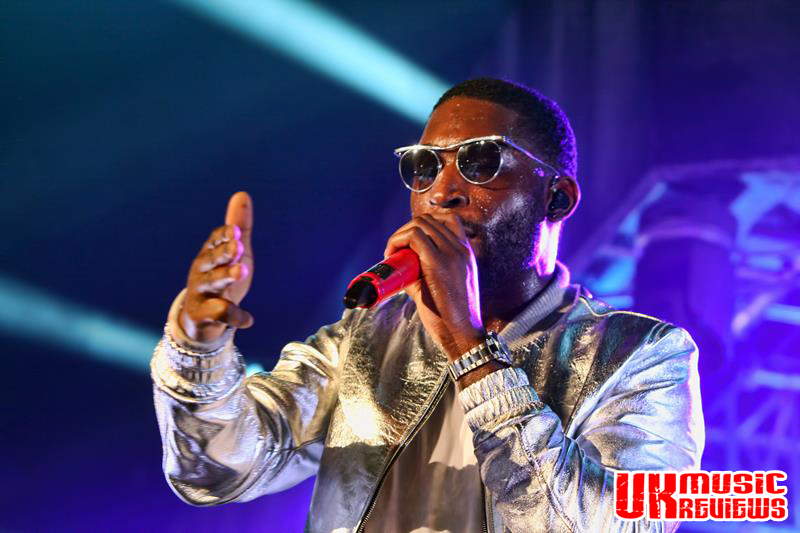 Tinie brought this gig to an end with Pass Out, the song which had put him on the world stage, having given his fans a lively, powerful and energetic evening. However, for me his sharp nasal voice can sometimes be quite irritating, but this monotone attack does make him a distinctive and accessible voice amongst today’s modern digital dance artists. Whilst many of his lyrics boil down to the usual hip-hop fare of boasting about girls, money and success, every now and then you get a glimpse of a deeper and more thoughtful artist who is attempting to balance commercial clout with something more ambitious. 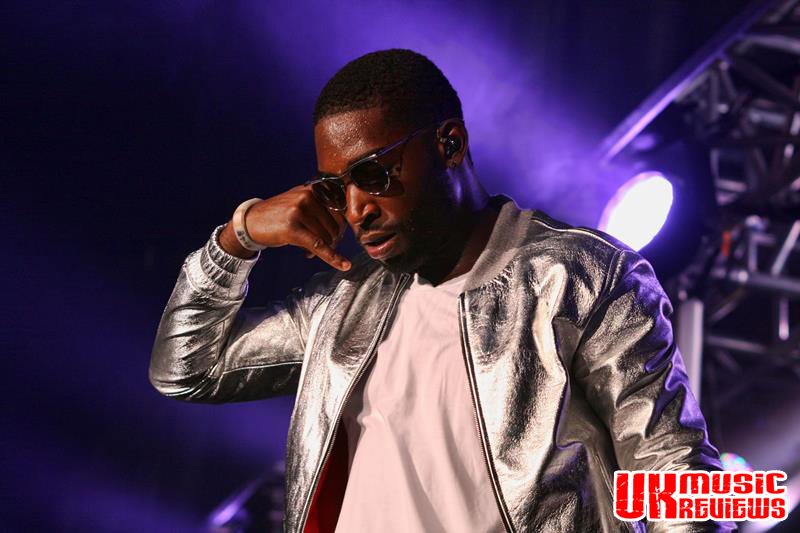 The result is a swaggeringly confident, brash and modern young man that gives us as good as any mainstream hip-hop being produced anywhere in the world right now, and this Nottingham crowd absolutely loved it!